18 colouring pages featuring different characters and scenes from PJ Masks! Great for colouring on the road or at home, the Crayola Colour Wonder Mess-Free Markers allow kids to fully express themselves without making a mess. These markers are filled with special ink that only appears on Colour Wonder paper - and not on fabrics, furniture, skin, or other surfaces. 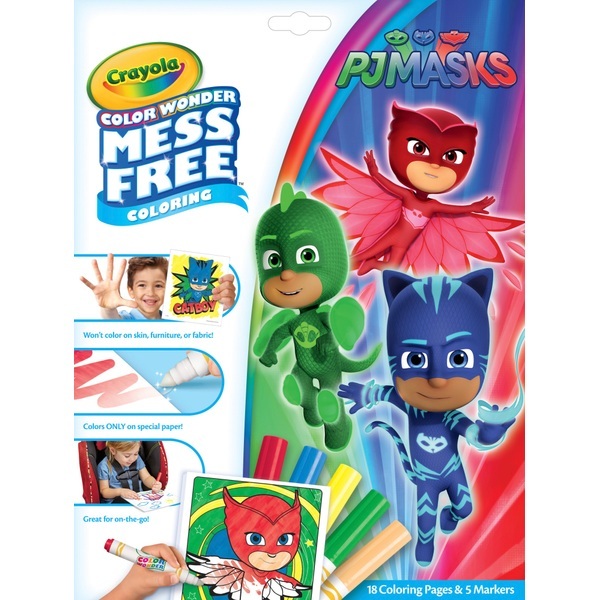 With 18 colouring pages featuring different characters and scenes, this kit lets kids bring their favourite PJ Masks characters and scenes to life in vibrant colour!